Seiko adds another beautiful watch to their Presage line. 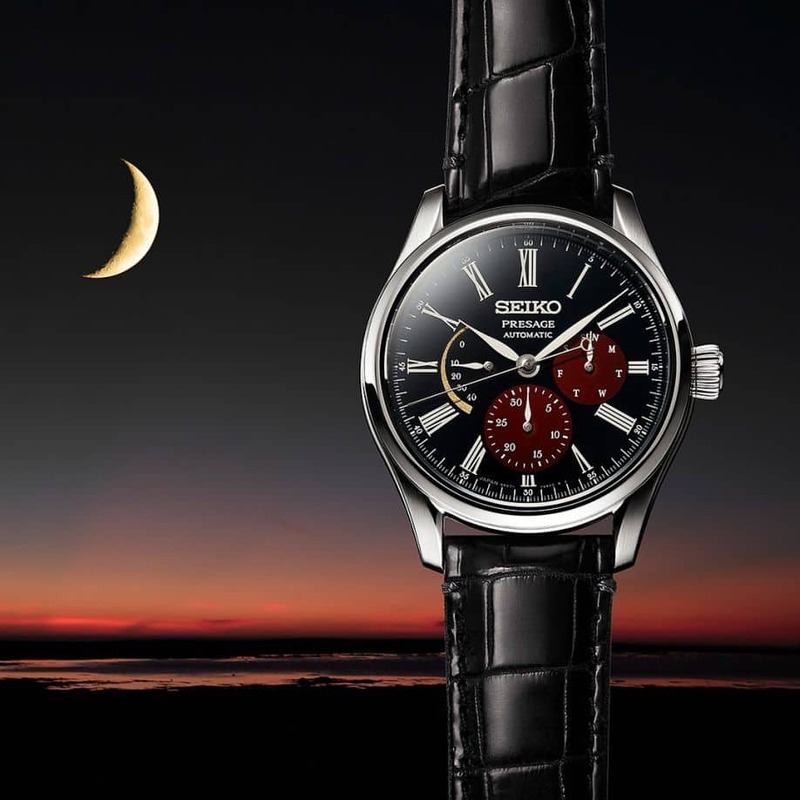 The Seiko Presage Urushi Byakudan-nuri (Ref. SPB085) is a limited edition watch, limited to 2,000 units worldwide. The watch dial represents the time of dawn, just before the sun rises, with red skies and the moon still visible. 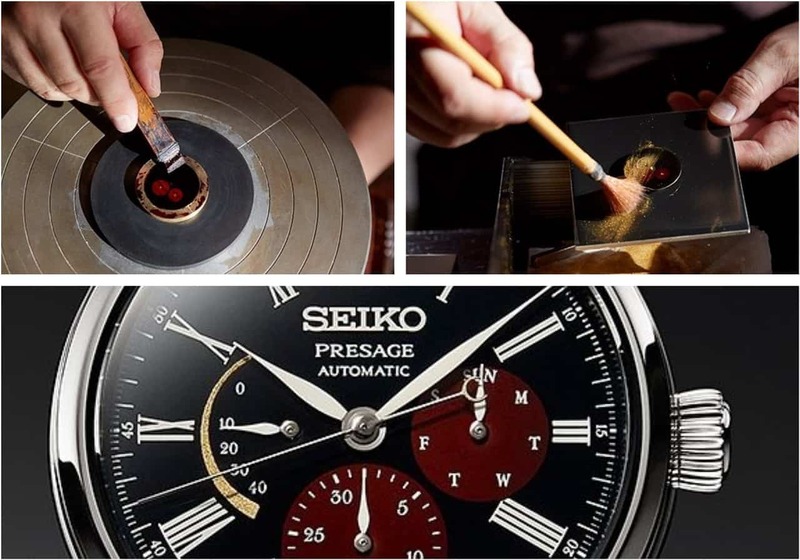 The dial is hand-made, which takes weeks to complete using three traditional Japanese techniques of Urushi, Maki-e, and Byakudan-nuri. These dials are created by craftsmen at the studio of Urushi master Isshu Tamura in the Hokuriku region of Honshu in Japan. The watch is a beautiful piece of artwork with a deep rich dial that’s black with red sub-dials and a golden power reserve indicator. The black represents the night sky, the red represents the soon to rise sun, and the gold power reserve indicator is the crescent moon. The watch comes in a 40.5 mm stainless steel case that’s 12.8 mm thick. It’s powered by an in-house Seiko caliber 6R21 automatic movement, with 29 jewels and 45 hours of power reserve. The dial is covered with AR coated sapphire crystal with a display case back. The watch is rated at 100 meters water resistance and 4,800 A/m magnetic resistance. The watch comes with black crocodile leather strap with a three-fold clasp. 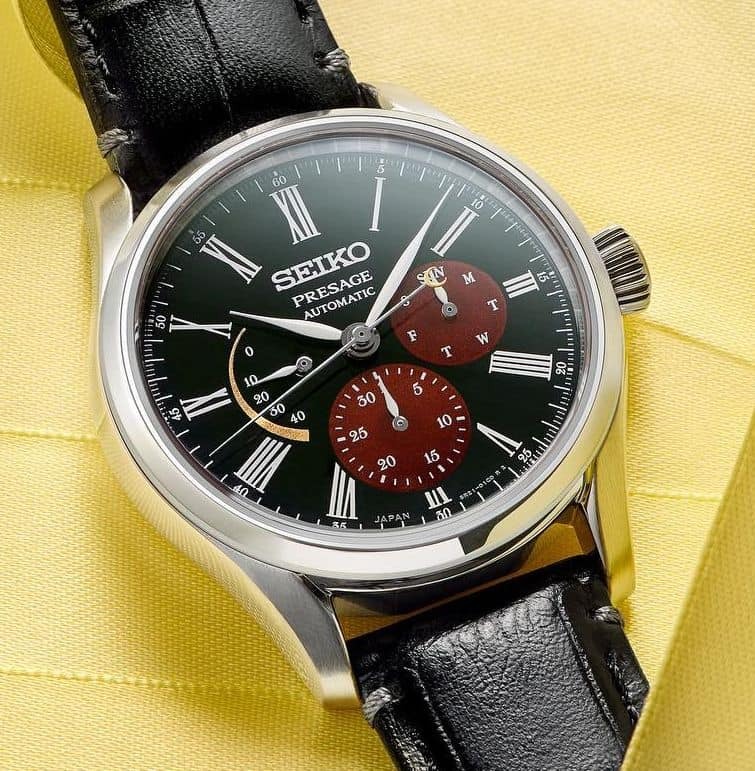 The Seiko Presage Urushi Byakudan-nuri is priced at $2,500.